Hello Friends! 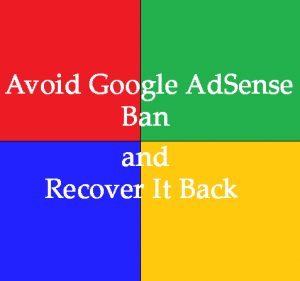 Today I am back with the AdSense updated article. Already I have written an article i.e., a case study that how I made 46 AdSense approval in a one month period of time. Now I came up with a video for a clear explanation visually. I have shown and covered almost all the topics regarding AdSense. 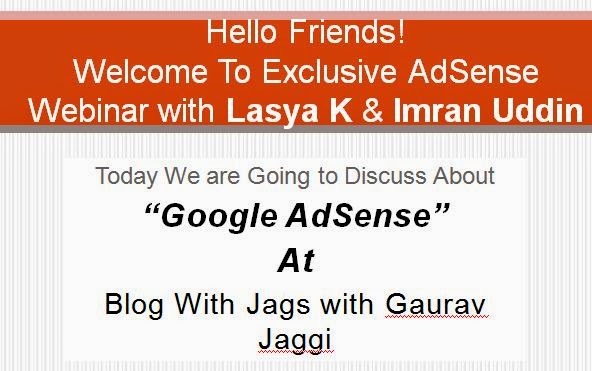 The waiting is over for the AdSense Webinar that is done by myself Lasya K and Imran Uddin with Gaurav Jaggi at Blogs with Jags. So, just follow all the steps that are said in the webinar to get AdSense approval also get all the tips and tricks of the AdSense CPC, CTR, RPM and also alternatives for Google AdSense. Here, all the topics that are related to Google AdSense are covered with examples. Some tricks related to CPC, RPM, CTR i.e., increase of earning money through Google AdSense and also the alternatives that work best for us to earn through the internet are discussed over here. Especially the topics that are covered in this AdSense webinar are as like as follows. Tips and Tricks for AdSense and many more. Everything was clearly explained well in this webinar. And I would like to include the video below. For better understanding just watch the video and if any doubts are raised just comment below and I am here to clarify all the doubts that are asked by you people. Sooner the AdSense giveaway is going to be held here. So, stay tuned to All Top 9, to get a free AdSense account in a giveaway.